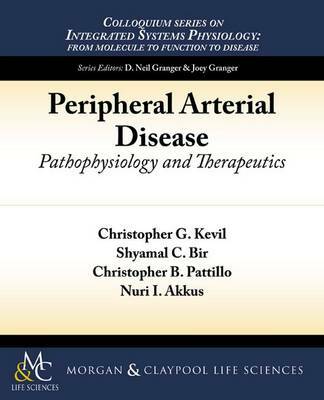 Peripheral arterial disease (PAD) is a cardiovascular disorder of the peripheral vasculature due to progressive atherosclerotic stenosis of conduit arteries restricting blood flow to tissues. PAD is typically a disease of older individuals, and the incidence of PAD continues to rise due to an increase in cardiometabolic disease and an aging population. Importantly, "all cause" and cardiovascular morbidity and mortality are significantly increased in PAD patients. PAD diagnosis remains a significant challenge, as a large number of patients are asymptomatic. Moreover, PAD results in a significant financial and societal burden with underutilized diagnostics and limited effective therapies. Here we discuss PAD signs and symptoms, pathophysiological mechanisms, current management, and future disease targets and possible therapeutic treatments for PAD.